Oh no, Asif is back with another tinfoil hat theory. This time he sets sail for Sea of Thieves with Donkey Kong? Rare, the UK gaming studio, was formed in 1985 and has brought countless amazing video games to the world. Battletoads, R.C Pro-Am, and Donkey Kong Country were some of the studios earlier hits, but Rare truly began to shine brightest during its time developing games exclusively for Nintendo 64. GoldenEye, Banjo-Kazooie, Perfect Dark, and Donkey Kong 64 were some of the finest games of their time on the 64-bit Nintendo home console. Everything was smooth sailing for Rare and Nintendo, until frustration set in regarding funding of projects going into the launch of Nintendo GameCube. Rare Co-Founder Tim Stamper said during an interview when asked why Nintendo never acquired the company that he had "no idea why they didn't do that. I thought we were a good fit." Microsoft scooped up Rare for $375 million in 2002. At the time, Nintendo was till struggling with the GameCube's launch. If things had turned out differently, Microsoft's and Rare's upcoming pirate video game sensation Sea of Thieves could have been a Donkey Kong game. The following is a compilation of massive amounts of compelling evidence to support this claim. Rare's Community Manager goes by Daley Kong on Twitter and posts frequently about DK like a forlorn lover. It goes beyond just one person at Rare. The company clearly misses working on Donkey Kong games. It is hard to blame them. It takes a while to get over breakups and clearly Rare can't quit DK. The Donkey Kong Country series and Donkey Kong 64 are some of the more memorable games to feature one of Nintendo's oldest and most beloved characters. 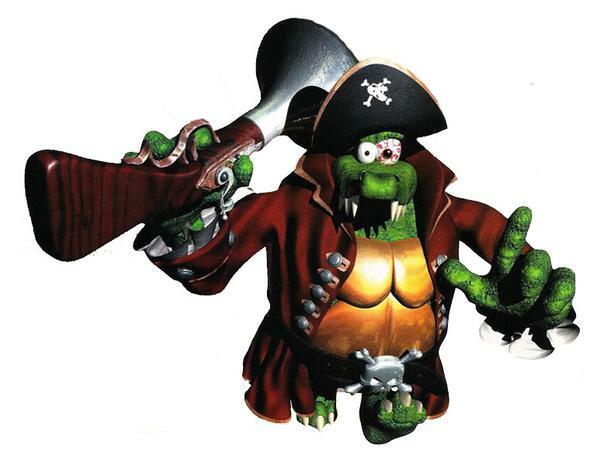 Kaptain K. Rool and his gang of pirates would have been cooler enemies than some skeletons. Donkey Kong Country 2: Diddy's Kong Quest is probably the best game in the DKC series and one of the finest bits of evidence in my case that Sea of Thieves could have been a Donkey Kong game. The game features Diddy Kong sailing on a voyage to save his best friend Donkey Kong with the help of his girlfriend Dixie Kong. It was odd that they made a game where you didn't actually control Donkey Kong, but the game featured tons of pirate stuff. The main boss was Kaptain K. Rool and the game featured tons of pirate-themed levels like Gangplank Galley, Mainbrace Mayhem and Pirate Panic. It is almost as if Rare is leaving behind clues about this mystery. The palm trees in Sea of Thieves are essentially modern day DK palm trees. Just how deep does this rabbit hole go? Please take a look at these barrels. They are practically identical. 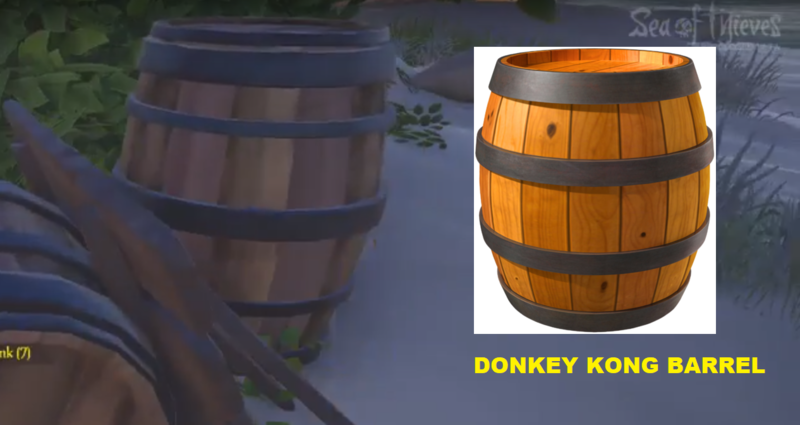 Barrels and Donkey Kong go together almost as well as bananas and Donkey Kong. 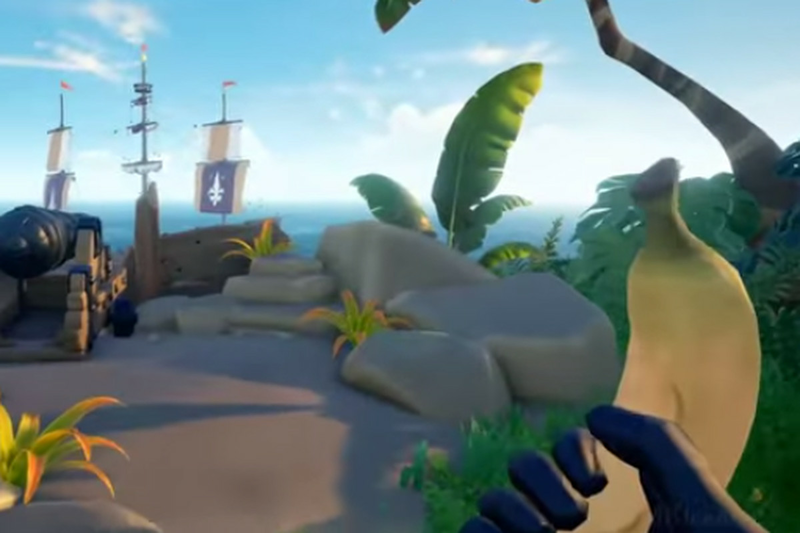 Sea of Thieves could probably try to hide their undying love for DK just a little bit. Add this to the pile of evidence. 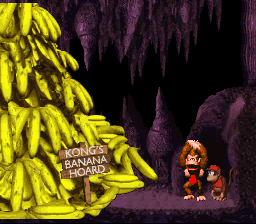 DK's banana hoarding is well documented. Donkey Kong loves his bananas, but I found it especially interesting that the Sea of Thieves developers chose DK's favorite fruit as the only way for players to heal in Sea of Thieves. It is just another example of their years of developing Donkey Kong games influencing the development of Sea of Thieves. They could have chosen another tropical fruit, but they picked bananas. Hardly a coincidence. DK Already Had a Crew and They Rocked! This might be a stretch considering almost every Rare game has had amazing music, but Donkey Kong 64's DK Rap seems to have influenced Sea of Thieves. The ability to play music with your pirate crew may remind some gamers of the days when the DK crew was jamming on Nintendo 64. The ability to jam out with a group of Donkey Kong characters on a pirate ship would certainly trump the amazing experience that Sea of Thieves offers today. It goes beyond music for the DK crew, as they would have been materially more entertaining player avatars than the current offerings by Rare. DK has quite a bit of experience with guns and cannons. Donkey Kong and his pal Diddy are not afraid to pack heat. Diddy Kong is still shooting up enemies in Smash 4, but it would be really cool to see a first-person Donkey Kong game. Sea of Thieves could have been this game. Rare has made some of the most iconic shooters from the console era and it would have been amazing to see their next FPS masterpiece be set in the Donkey Kong universe. 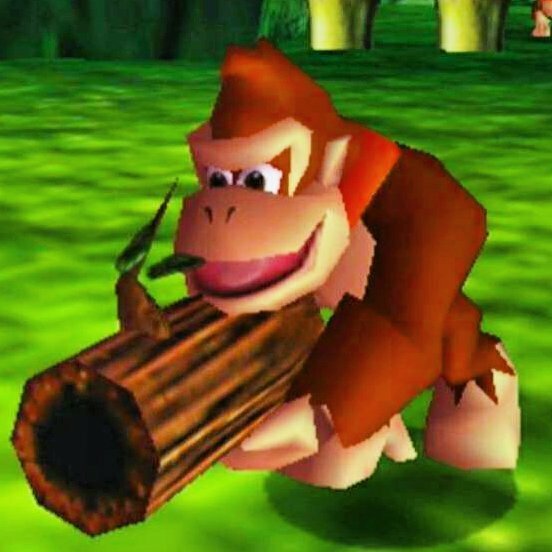 Donkey Kong has been shooting himself out of barrel cannons for over twenty years. It is basically in his blood at this point. One of our favorite things to do in Sea of Thieves at Shacknews is firing ourselves out of cannons. It is super fun and certainly inspired by DK. The evidence is really starting to pile up in favor of my theory that Sea of Thieves could have been a Donkey Kong game. DK seen here blasting through barrel cannons like a boss. That's right, Nintendo. 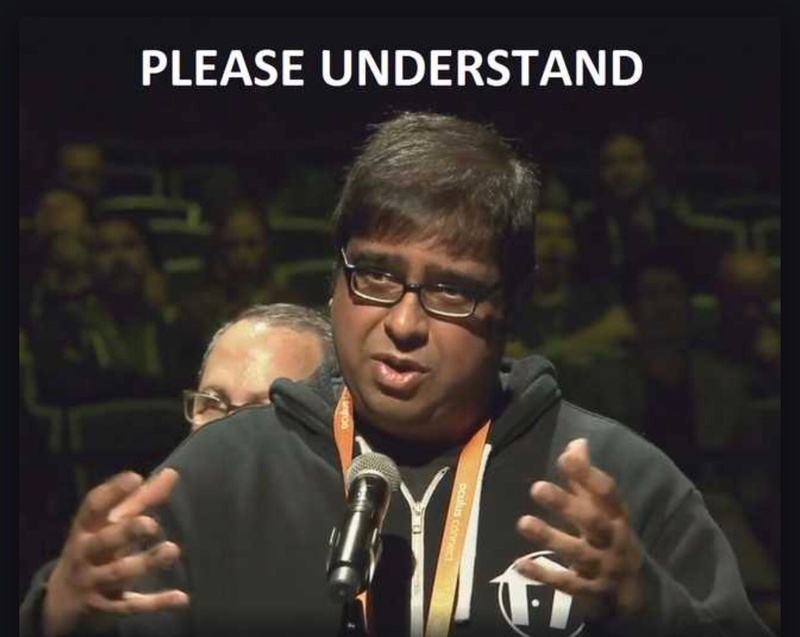 Please understand. It is apparent that Rare would have no fear in setting sail on the Sea of Thieves with the DK crew if things had gone differently with Nintendo back in the early 2000s. We may never know what the Big N's reasoning was to let Rare go, but the upcoming launch of Sea of Thieves offers a lesson for the company. Rare has been out of favor for quite some time, but many of the best parts of their history as a developer were during their time with Nintendo. It is truly a Shaq and Kobe situation. Sea of Thieves will still be an excellent game and a fine Xbox One exclusive, but Nintendo might have truly lost a magical opportunity for a great Nintendo Switch exclusive. Donkey Kong's Sea of Thieves may just be another one of my tinfoil hat theories, but it would have been an awesome game. I hope this doesn't leave anyone thinking I am cranky about Sea of Thieves. We love the game at Shacknews and have even declared that if you don't like Sea of Thieves, you don't like video games. It is just sad to think of the opportunity missed. We could have seen Donkey Kong setting sail in the wonderful world of Sea of Thieves. Granted, the graphics would not be nearly as impressive as the 4K gameplay out there, but it would fill an online multiplayer void on the Nintendo Switch that still remains empty one year since the console was launched. We are happy to see Rare back in action, but we will always be left wondering what could have been if Nintendo acquired them instead of Microsoft sixteen years ago. Can’t really argue with any of this. This is good stuff Asif. Eh, I don't see Nintendo ever making a big online game like Sea of Thieves.